With the advent of the internet, and helpful sources of child-friendly information like Ask.fm, you might think that kids are no longer looking up stuff in books. Well, I'm pleased to say, that's not the case. 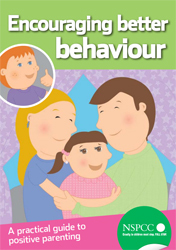 Amelie has somehow got her hands on a free parenting booklet from the NSPCC, entitled 'Encouraging Better Behaviour', so she's currently flicking through it on the sofa and telling us where we're going wrong. In a slightly rude manner. But in addition to that, this week marked a major milestone in her development, as she managed to independently answer her own question by researching the answer in a book. I was genuinely proud of her. And that's without reading the positive parenting book. It all stemmed from a gift I bought her on Monday. Lisa had texted me at work to say how well Amelie had done at her swimming lesson, so I decided to pop out at lunchtime and buy her a reward. Naturally, no amount of money is too much when it comes to your own children, so I chose to push the boat out and spend 99p in a charity shop. That pound (plus change) bought me a cuddly cat backpack, which serves the dual purpose of looking very cute and giving her somewhere to put the filthy old junk she picks up off the street. The cat in question was a spotty one of the big and wild variety, and when I gave it to her on Monday evening, she asked me if it was a cheetah or a leopard. I told her it was a backpack. She's been slightly obsessed with cheetahs since we saw one at Paignton Zoo, and she hears the word a lot on Jeremy Kyle, so after her father had failed to answer her question in the definitive way she'd hoped for, she decided it was a cheetah and went off backpacking across the living room. It was about half an hour later that she came rushing up to me with a look of excitement, and told me that her backpack was actually a leopard, not a cheetah. I asked her how she knew, and she produced her evidence in the form of a book. It's a book called 'Predators', which was bought for her a few months ago by my parents in an effort to stop her sleeping at night. It contains all kinds of useful information about death, pain and suffering in the animal kingdom, and (to my slight surprise) Amelie loves it. I'm regularly forced to read her graphic accounts of the ways in which animals kill each other. Frankly she can't get enough of it. So when I'd failed to identify her backpack, she'd gone straight to her book and looked up both the leopard and the cheetah, discovering that whilst cheetahs have black spots, leopards have brown and black rosettes. As does her backpack. I didn't complicate matters by pointing out that jaguars do too. The point is that she'd managed to answer her own question by doing some independent research in a book. And she's not even five. Obviously in a couple of years time, she'll be doing that on a smartphone at the back of the classroom, but for now it's quite impressive. She's not, however, the only one accomplishing great feats of awesomeness on an almost daily basis. I put up a new towel rail in the bathroom last night. No, really. Amelie broke the last one by attempting to swing like a monkey from the door to the toilet, so I decided to treat my family to a bit of luxury by purchasing a new one for five quid from Wilkinsons. It's a touch of quality, and as Lisa said to me last night, it smartens up the whole flat. Which gives you an idea of the squalor we live in. I fitted it yesterday evening after Amelie went to bed, and when she got up this morning, she came running out of the bathroom full of bouncy enthusiasm, and said "Daddy! I've just seen the new towel rail! And I love it!" No doubt she'll have broken it by the weekend, but at the moment it's nice to be appreciated. It's just a good job I didn't spend six quid. She'd have exploded with excitement.